Oh My God I Can't Believe This. This guy joined my corp a month or two ago, under the name Silentbob01 or something like that, don't remember the exact number at the end of his name. 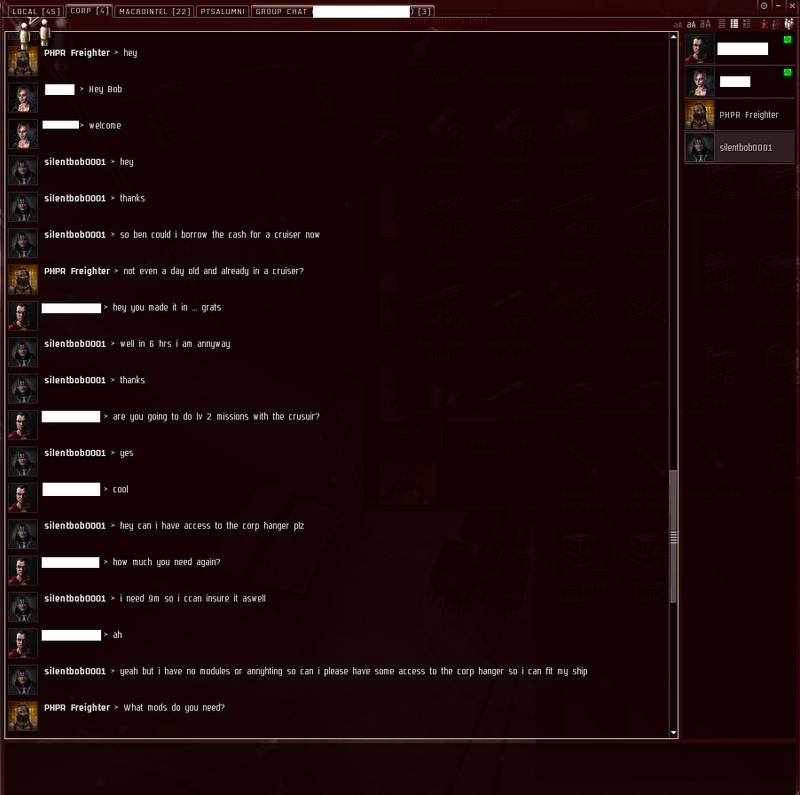 Well, he got access to our corp hangar, and our CEO logged on one night to find the corp hangar completely empty. Minerals, Mods, BP's, everything. Gone. We're absolutely certain it was him. Oh, and he was wanting 9mil to replace an uninsured Moa he lost. On a really really new character. So, I was pretty suspicious of him myself, so I started probing him with some questions. Well, he got quite nasty, calling me a "fool" etc., saying that it was for an alt, not this character, blah blah blah. Well, he wasn't in the corp for very long . . . I can't believe he showed up again . . . I guess, CEO's never learn! 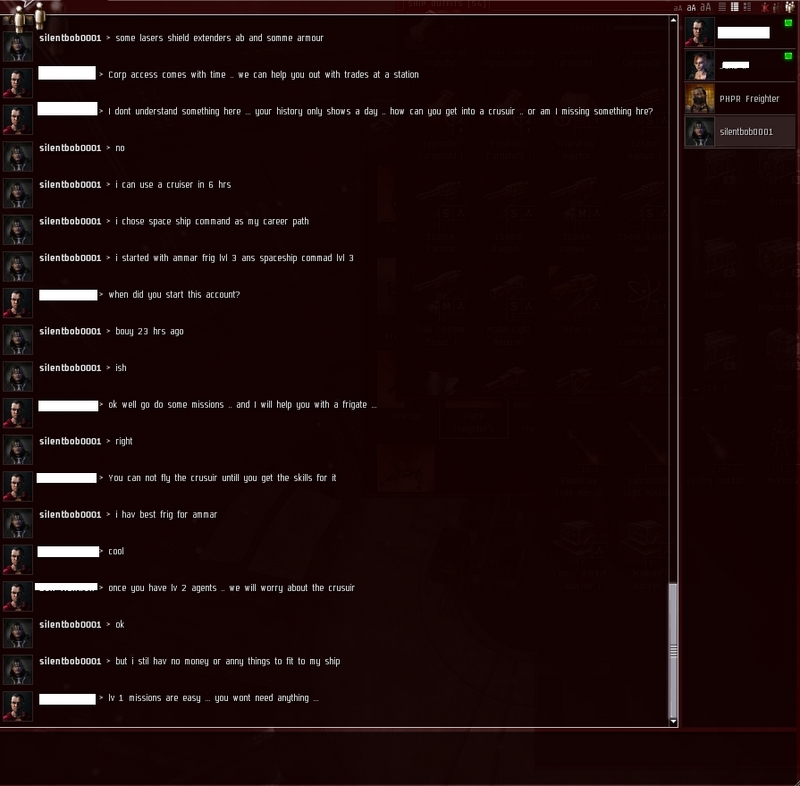 NEVER give access to corp hangar to new players! Heck! I wouldn't give it to a player who is in my corp for 1 - 3 month. I give all miners and such access to one portion of the corp hangar - never had any issues with it. Its filled with noob items, mining lasers, base-line weaponry, ammunition, missiles, etc. No more than 10M in there worth of goods. I get a few new players after we take a break from the game for a while and everythings fine. Log in and see that everything is missing from that hangar and the other new one I converted for skill books for new members. Since they are in Jita and they left the stolen goods in our station (the one where we have someone logged in 23 hours out of the "Eve day", this will be interesting for him to come back into the system and dock. Regardless of any of this, now I have put an audited container in there with restricted access because people have to mess things up. No more young members on there either - it ruins it for the rest of the members. It's known that money makes people autonomous. But what to do when somebody doesn't have cash? The only one way is to get the business loans and short term loan.